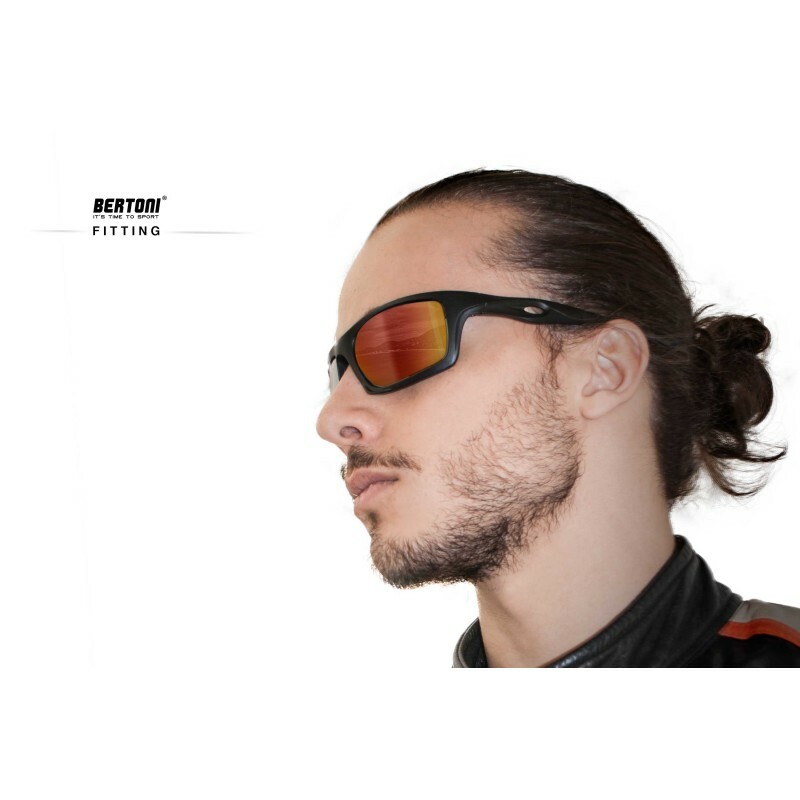 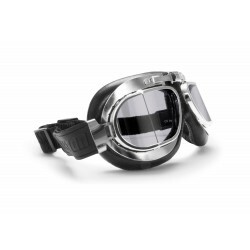 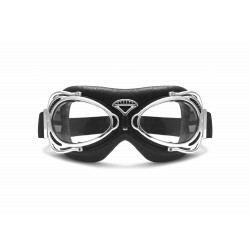 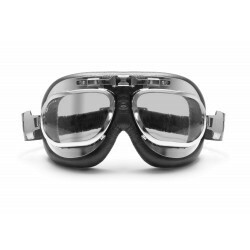 Motorcycle Sunglasses – mod. 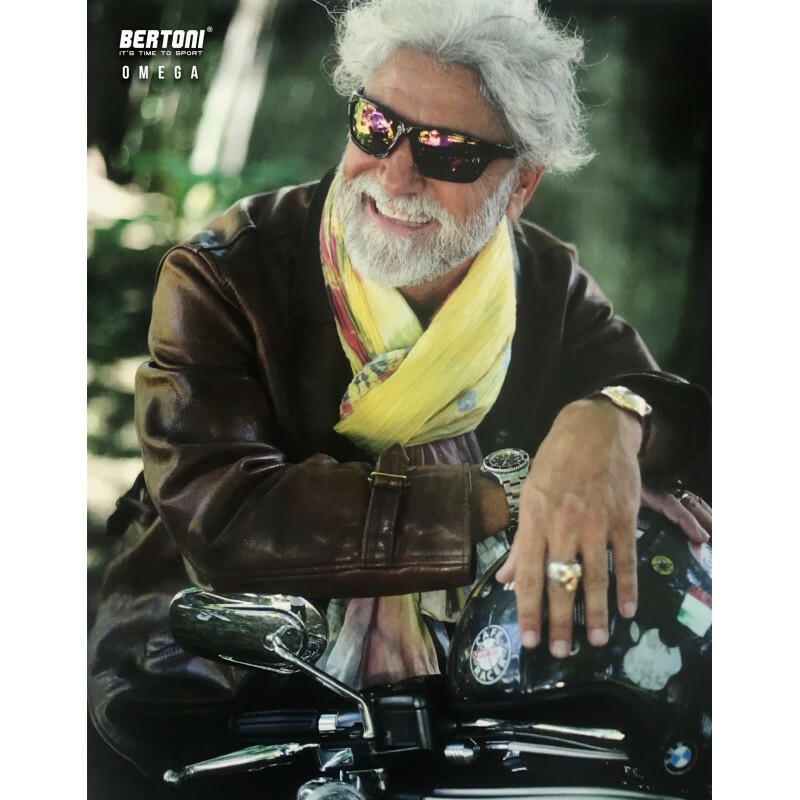 Omega B by Bertoni Italy: Frame made by Nylon Mesh, shatterproof and extralight, weight 19 grames - Wraparound design: protects the eyes from wind and bad weather, provide enhanced peripheral vision - Size: suitable for all types of faces (narrow to large). 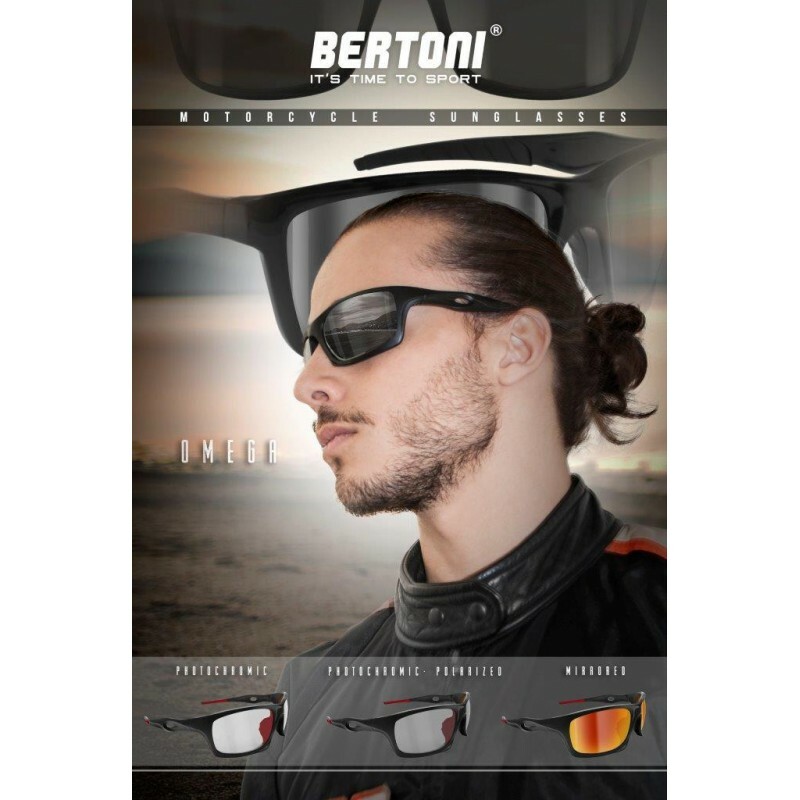 - Available in 2 matt black / glossy black colors with contrasting beautifiers details. 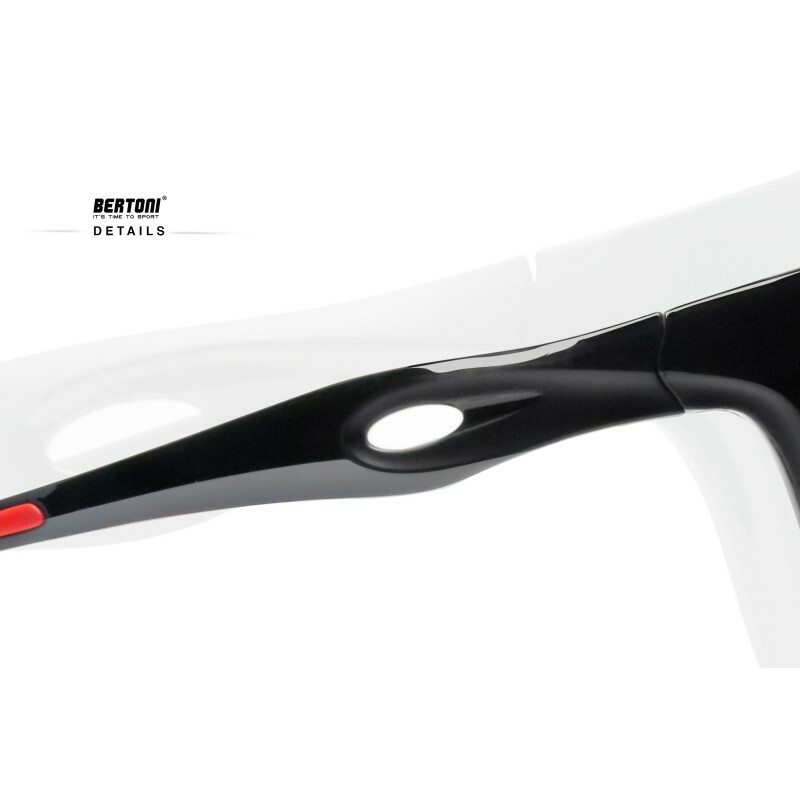 On the occasion of Bertoni's thirtieth anniversary in the world of sports eyewear, Omega, the new born of the house, was laser-branded on the arm with the original “B” 90s logo. 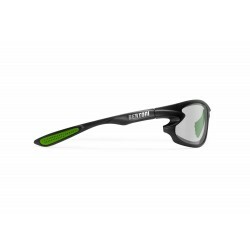 - Lens color: smoke cat. 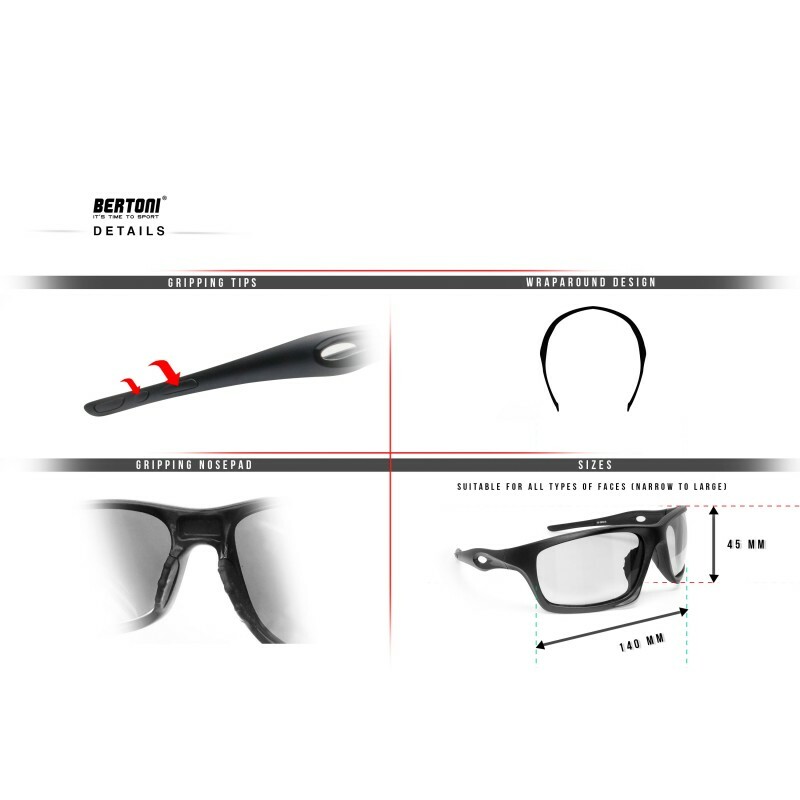 3 with Gold Mirror coating. 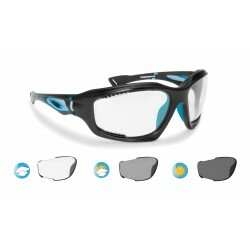 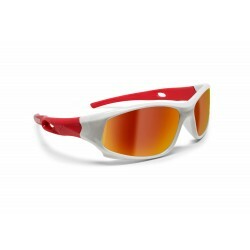 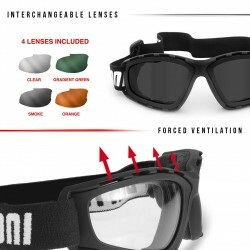 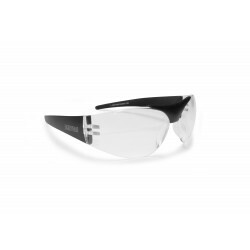 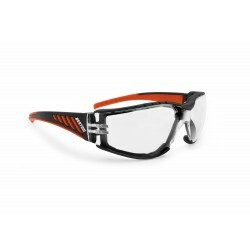 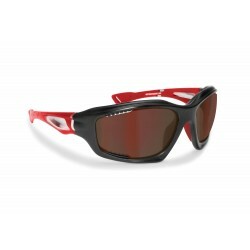 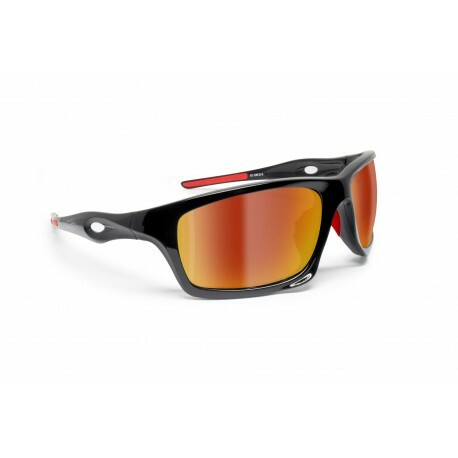 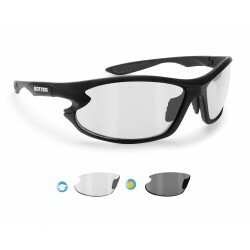 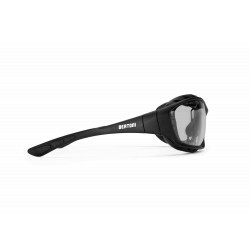 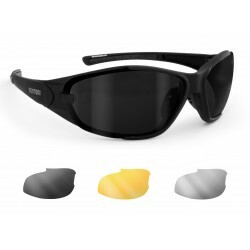 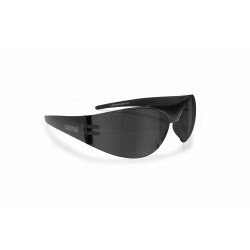 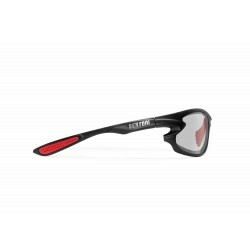 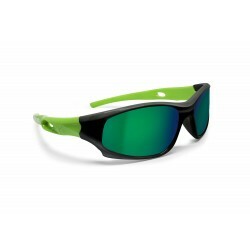 - Lenses made in impact resistant Polycarbonate - 100% UV protection. 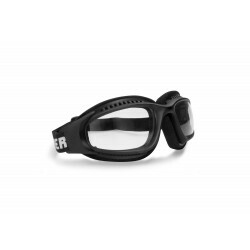 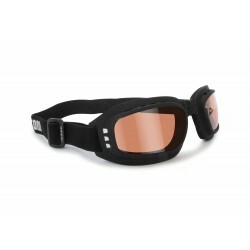 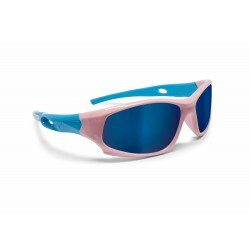 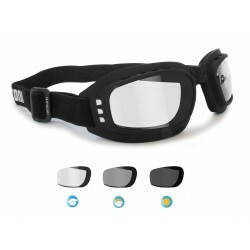 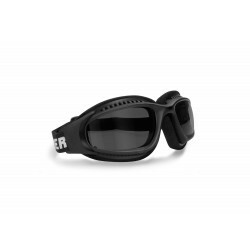 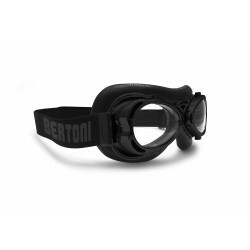 - Grip at the tip of the arms and nose-pad, keeps the sunglasses from slipping.